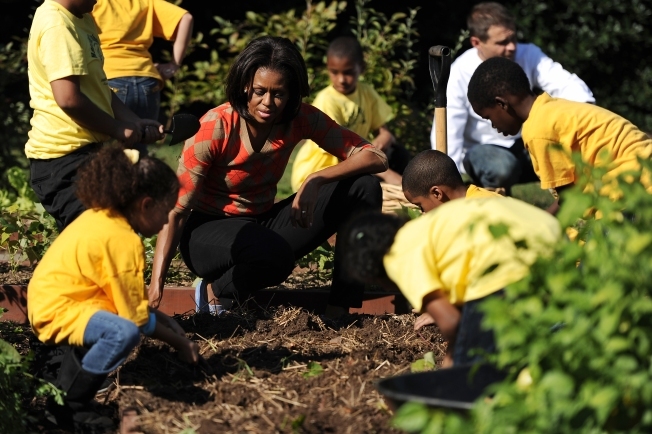 First lady Michelle Obama harvests vegetables in the White House Kitchen Garden. Have you ever wanted to get an up-close look at the White House's gardens? Well, here's your chance. This weekend, President Barack Obama and First Lady Michelle Obama will open the gardens and grounds of the White House to the public. The annual garden tours will be held from 10 a.m. until 4:30 p.m. on April 26 and from 10 a.m. until 2:30 p.m. on April 27. Guests will have the chance to explore the Jacqueline Kennedy Garden, the Rose Garden, the South Lawn and the White House Kitchen Garden. The event is free and open to the public, but even the smallest of guests will need a ticket. Visitors can get free tickets starting at 9 a.m. on each of the tour days at the Ellipse Visitor Pavilion. Tickets are given out on a first-come, first-served basis.